Small and convenient, the PUK® 5.1 Electrode Sharpener is a useful accessory that will only fit the PUK® 5.1 welder and is ideal for simple and rapid sharpening of PUK® Electrodes. Care of the electrode tips, which is vital to very good welding results, is carried out by the sharpener in the blink of an eye. 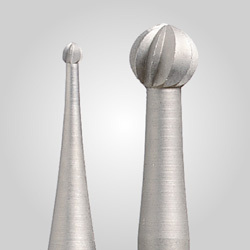 When sharpening the electrode tips, the electrodes are held on the rotating diamond disc (830-1531) at a flat angle (approx. 15°) and turned between the fingers. 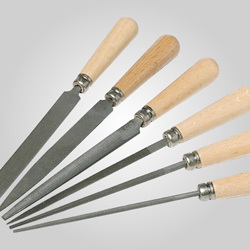 Multiple electrodes can be sharpened and finished simultaneously. The diamond disc is securely embedded in a stable aluminum housing so that only the front of the grinding surface is accessible. Replacement discs are available (830-1531) and can be changed with ease using the Allen key provided. Direct Connection to the Welding Device. No additional main power supply is required to operate the sharpener; it plugs right into the back of the PUK® 5.1. 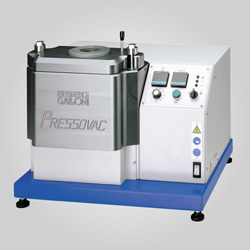 The motor is switched on by pressing a button located on the side of the motor housing. For all other PUK® models, choose 830-1528 (This electrode plugs into any standard 110V outlet).